Neon bright shades are the hottest trend of this season and while many people would love to wear neon shades, they find difficulty in pulling such shades off. 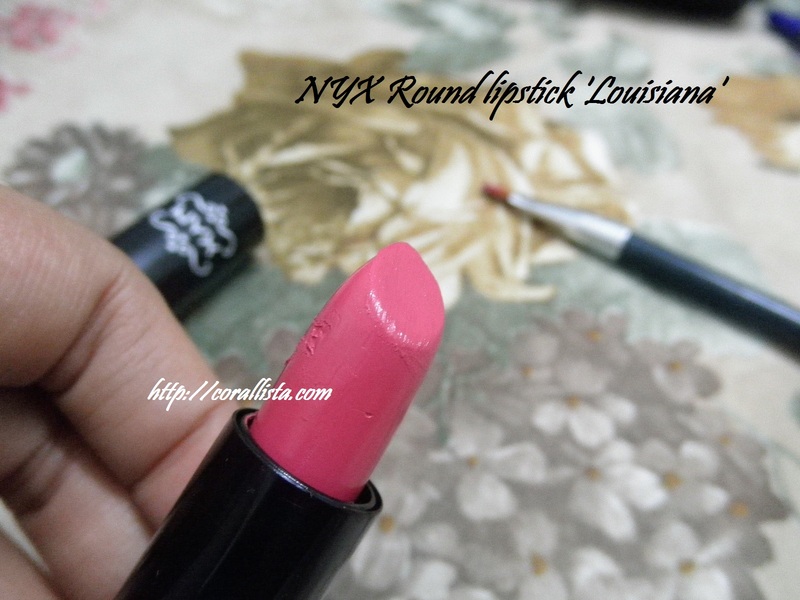 I recently purchased NYX Round lipstick ‘Louisiana‘ which is a blue based bright pink shade. 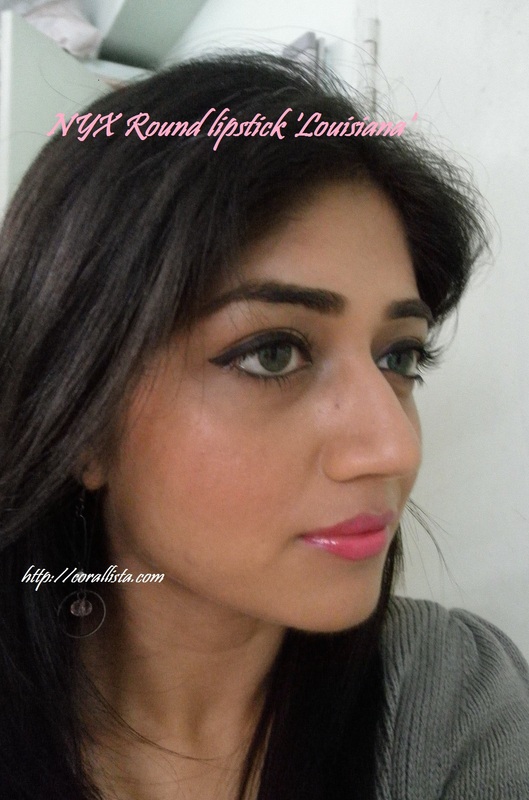 This was my first time trying out such a bright shade and I decided to keep the look simple with thick winged liner and soft pink blush. 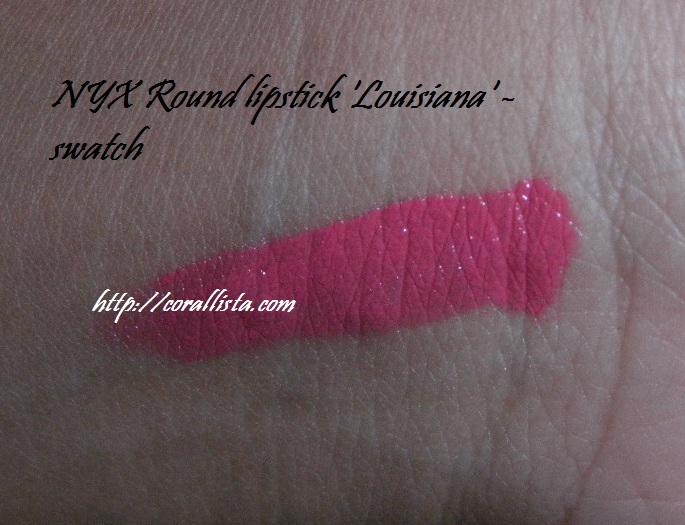 Neon pink lips with NYX Round lipstick 'Louisiana'..
Keep it simple with thick black slightly winged liner on the upper lash line and lots of mascara. 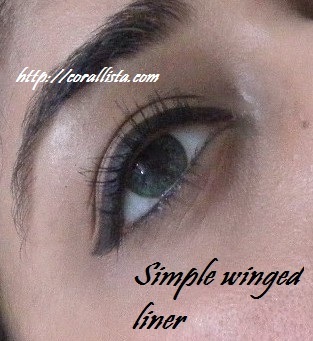 Apply just a hint to kohl/black pencil/gel liner on lower lash line to define and give shape to your eyes. 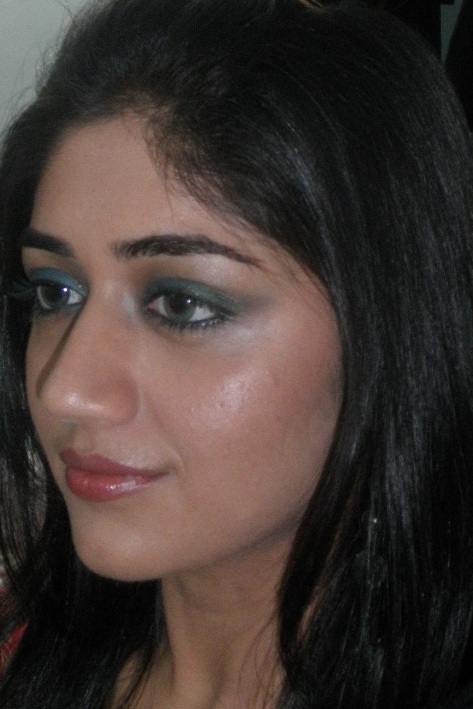 Leave the waterline bare or apply flesh toned pencil to give a neat bright look. 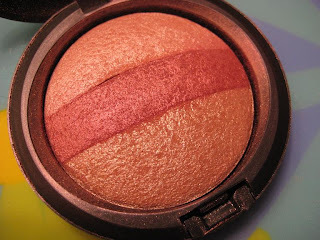 Fill in your brows with dark brown eyeshadow/pencil and apply compact under the browbone for a neat crisp look. 1. 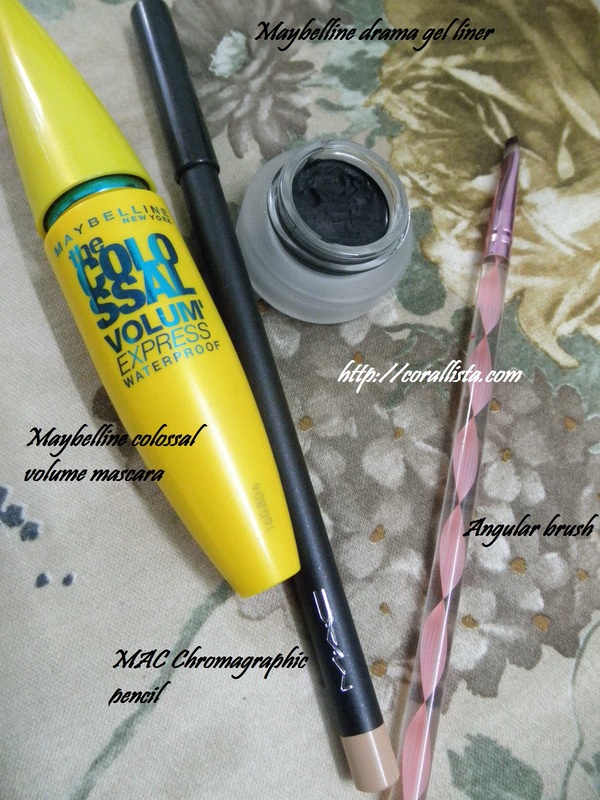 Maybelline drama gel liner on upper lash line thickly and just a hint of it on lower lash line. 2. MAC Chromagraphic pencil on waterline, inner corner and under brows. 4. 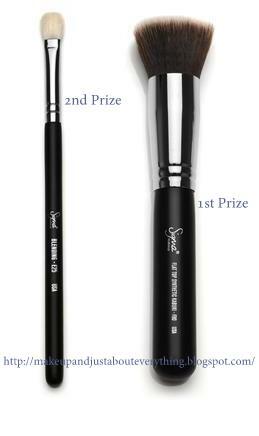 Angular brush for applying gel liner. 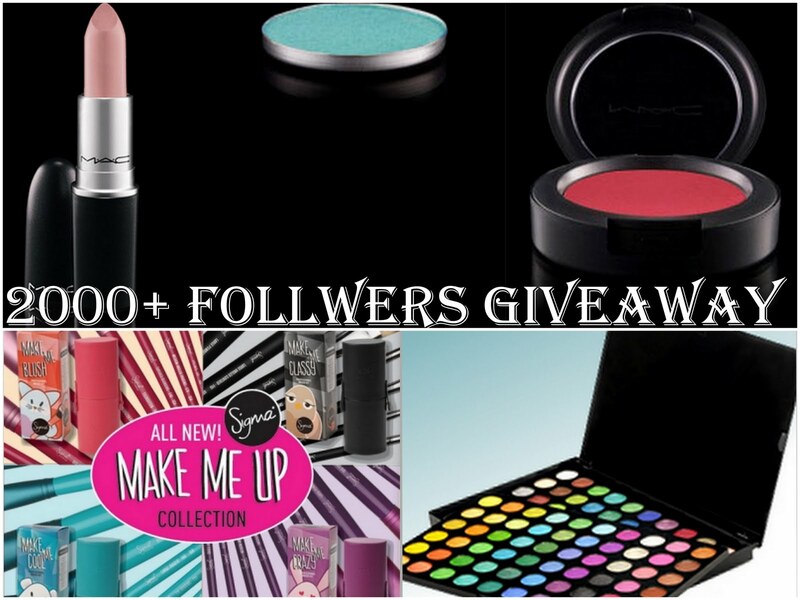 Whenever wearing a bright bold lipstick, it is important to even out any pigmentation and patches using concealer and a good coverage foundation because bright lipstick tends to draw attention to the imperfections of the face. 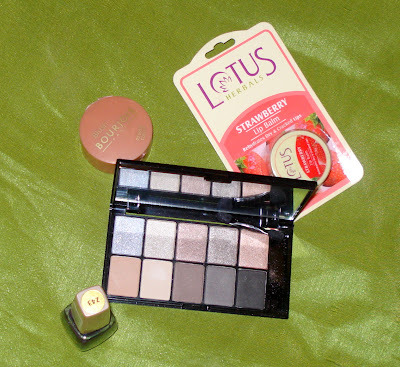 Even out your skin using concealer under the eyes, around the nose and mouth and on any blemishes. 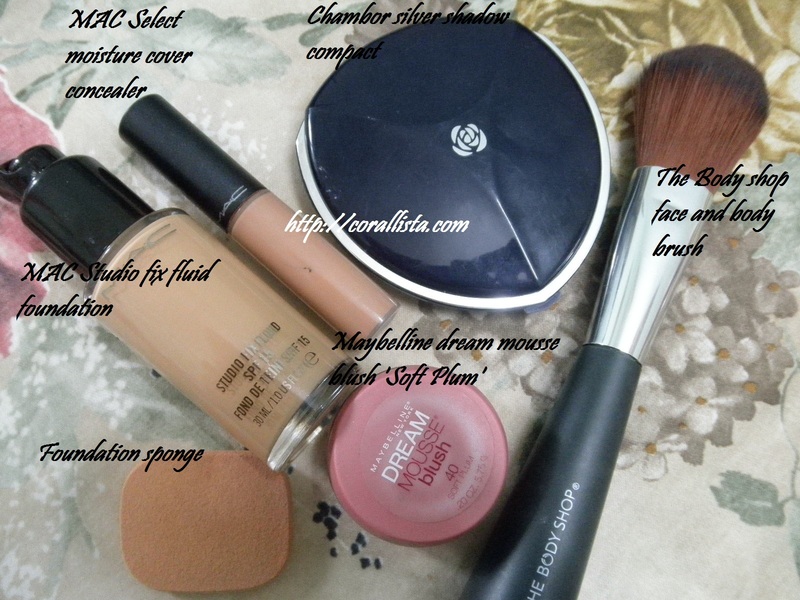 Apply a medium-full coverage foundation all over face and neck and set it with compact. 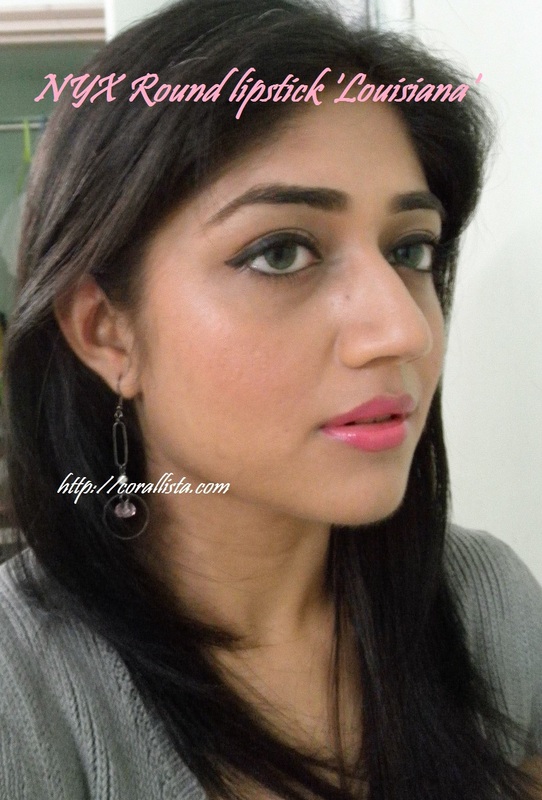 Apply a cool toned soft pink blush all over the apples of the cheeks and blend towards hairline. 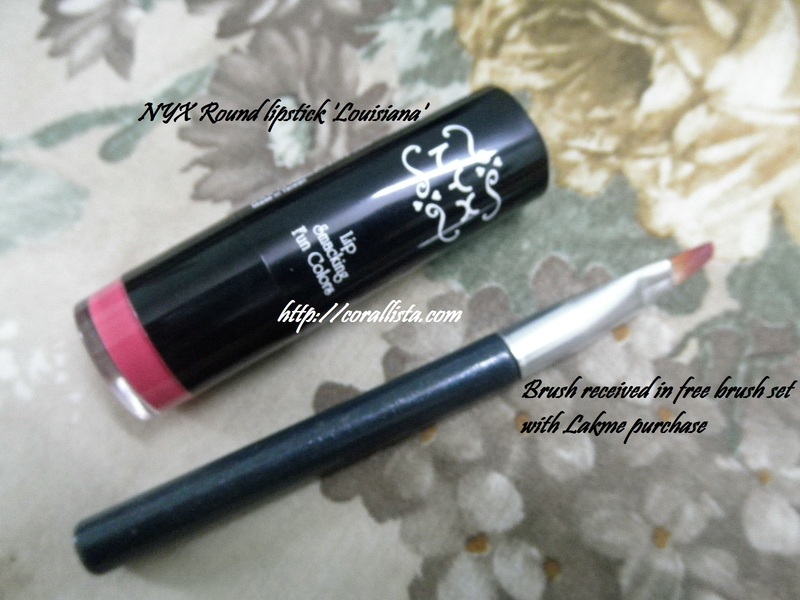 Apply the lipstick using a brush for accurate and precise application. My personal favorite combination with bright pink lips is a GREY outfit. Subtle fine colorful prints that don’t have any particular color standing out. For a bright and colorful spring/summer look : Pair with monochrome dresses/tops in colors like green or yellow for a fresh young look. Keep accessories minimal and neutral, let the lips steal the focus! Too much matching/color coordination or use of too many brights at the same time are not visually appealing and look trashy. 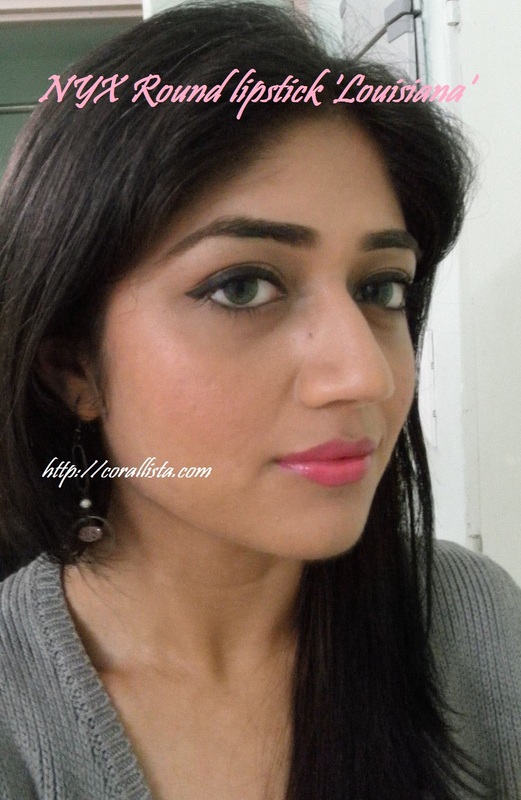 Have you tried neon pink lipstick? 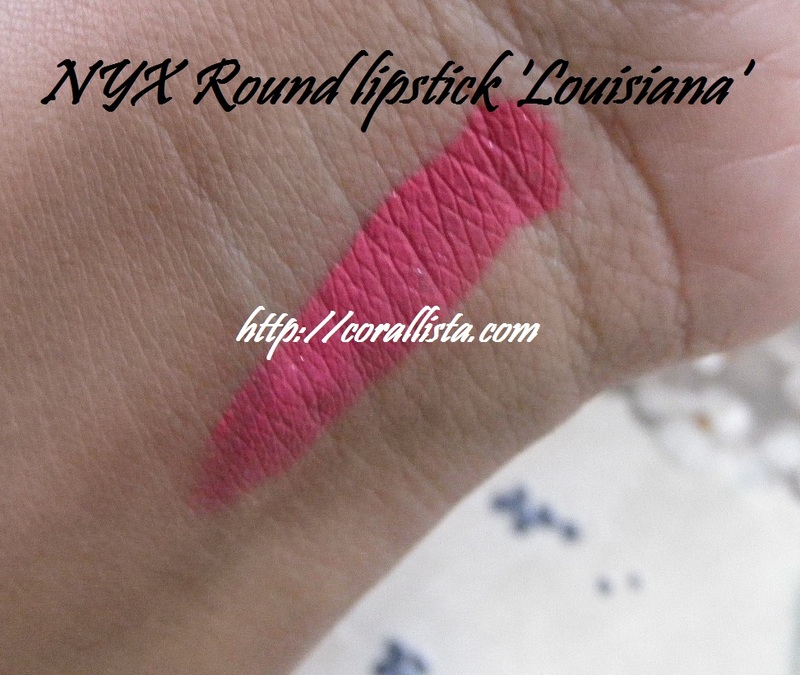 Which is your favorite bright pink lipstick shade? Share your comments by replying below.